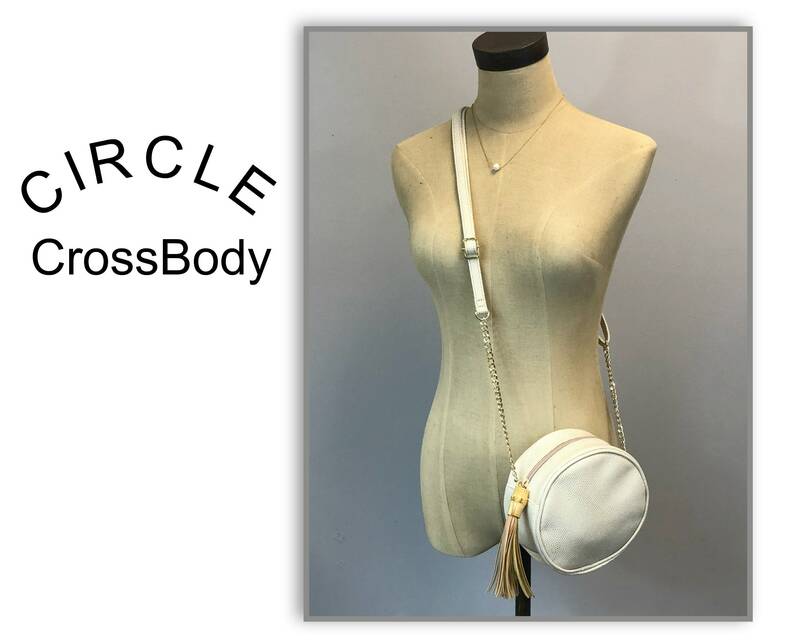 Our Circle Crossbody may be small in size, but that's why we love it! 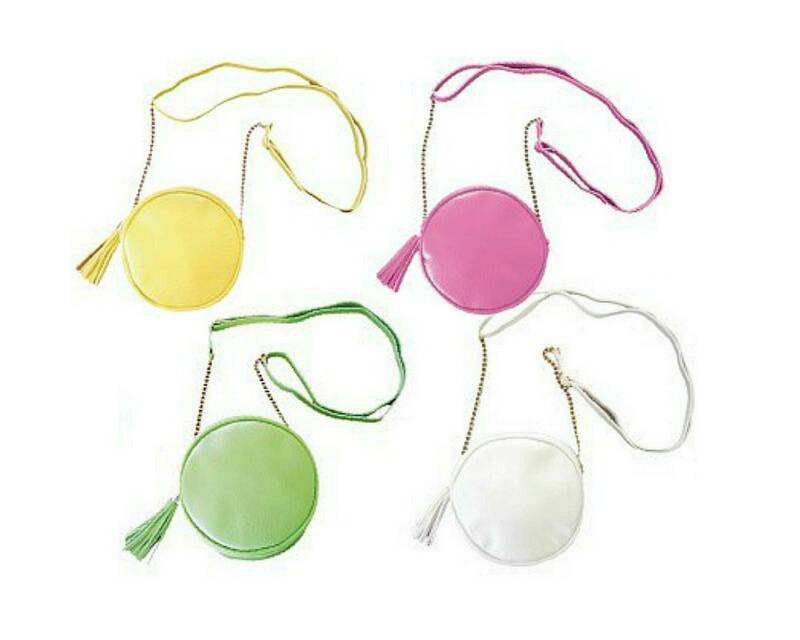 At only 6" in diameter, this little handbag is the perfect finishing touch to for date night or a night on the town.. Wear it over one shoulder or as a crossbody look that's hassle-free. Features an adjustable strap, metal chain accents, and a cute tassel zipper pull with a bamboo accent! Made of lizard-textured pleather with a nylon liner and gold-plated chain. Body is 6" in diameter, and 3.5" deep. Look for bag in other colors in a separate listing. *Necklace shown is not included.